The road to a black belt is usually a long and hard one full of ups and downs. The average time to get promoted to black is from 8 to 14 years. It took me 12 years to get my black belt but for some BJJ practitioners, the journey was accelerated. What did they more than the rest of us? It depends on the person. 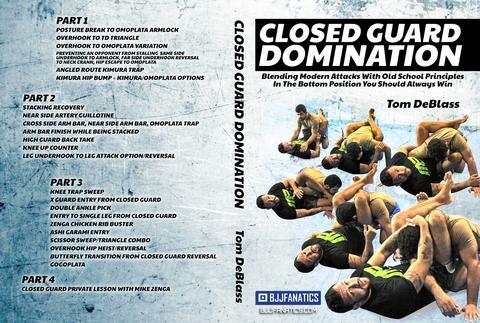 Some are just phenoms while others were training 3 times a day and were surrounded by world class instructors. Not everybody in this list is a world champion, some are better instructors and have a great Jiu-Jitsu ‘mind’. 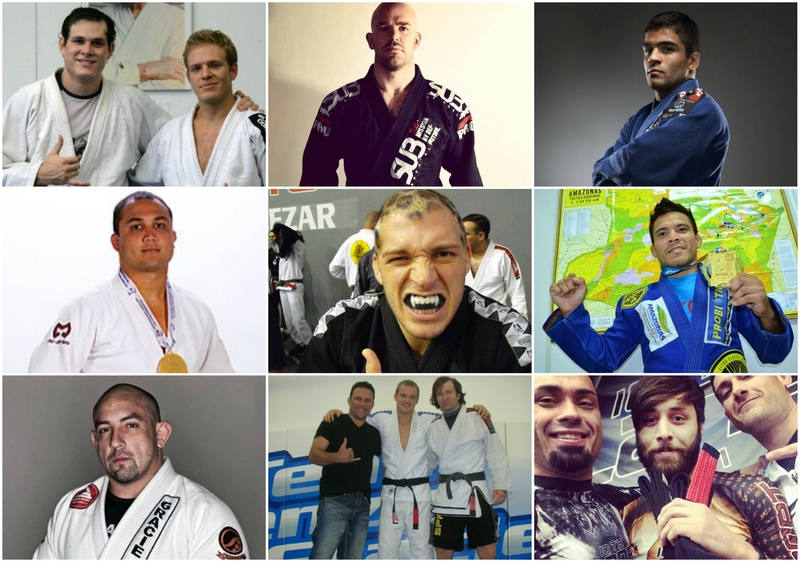 Here the top 10 fastest promotions to black belt in the history of Jiu-Jitsu. *I’ve only included the well documented promotions. There may have been others but they have not been made public. Also there are 13 instead of 10 black belts in this list since the last 4 are tied in time of promotion. 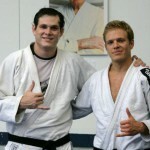 Nicolas Gregoriades was one of the first persons to be awarded the black belt by the legendary Roger Gracie. He is widely regarded as one of the outstanding jiu-jitsu instructors contributing to the art today. Nic has a deep conceptual and technical knowledge with a methodical, patient teaching style. Gunnar Nelson is a professional Jiu Jitsu and MMA fighter from Iceland. 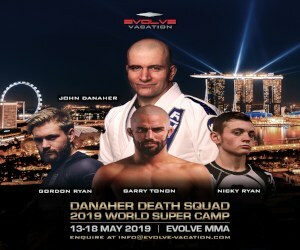 Gunnar started training in BJJ under Ireland’s Joh Kavanagh and he placed fourth in the ADCC tournament (open weight division) in 2009. 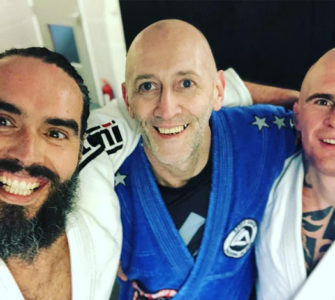 Gunnar Nelson was promoted to black belt by Renzo Gracie and became the youngest European to have received a BJJ Black Belt (21 years old, together with Marcin Held and Mads Burnell) and after only 4 years of training. Former MMA and BJJ world champion Vitor Ribeiro started training BJJ at Nova Uniao at 14 years of age. He won everything at the lower belts and was promoted to black belt by Andre Pederneiras at just 18 years old. 2015 ADCC +99 kgs champion Orlando Sanchez started training with Alberto Crane, Romulo Barral, Draculino and “Ze Radiola“. Ze Radiola promoted Sanchez to black belt in 201 after just 4 years of formal training. DJ Jackson, who is now focused on MMA, got his Black Belt in BJJ in only 3 years and 11 months of training. He won world championships in all belts. IBJJF NOGI was world champion in the blue belt, purple, brown and black. He was world champion in Gi IBJJF purple and brown belt. Fabiano Scherner achieved his black belt in 3 years and 11 months . He started from 0 training in jiu jitsu in january 3rd of 1999 and got his black belt in December 20th of 2002. He is a UFC vet and runs a Gracie Barra academy in Oregon. 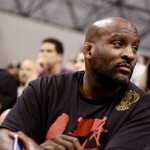 BJJ coach Lloyd Irvin started training BJJ in the mid 90’s under Leo Dalla. Irvin learned very fast and after 1 month, he received his blue belt. His instructor Leo Dalla left for Brazil Irvin had to train by himself. He opened a school and started teaching and competing all over the States and in Brazil. 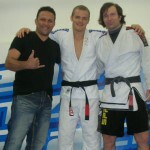 He received his BJJ Black Belt in only 3 ½ years from the hands of Leo Dalla. Lloyd Irvin’s (ex) student, Mike Fowler received his black belt from Irvin in 3.5 years. Fowler followed Irvin’s “Grappling Blue Print” program. He has had a highly successful competitive career. 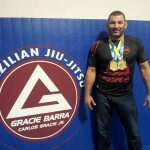 Gabriel Moraes has an amazing Jiu-Jitsu story. he won the world championship on three separate occasions (separated by 9 years 2004 and 2013 ) and he is amazingly the first and only BJJ competitor to consecutively win the worlds as a blue belt (in 2003) and as a black belt (in 2004). You heard it right. He bypassed the purple and brown belt and was promoted straight to black belt in a record 3,5 years of training. Geo Martinez is a student of Eddie Bravo.He comes from a breakdancing background and that allowed him to use his attributes when training in Bravo’s 10th Planet Jiu Jitsu system. 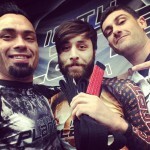 Martinez incredibly became a 10p Jiu-Jitsu black belt (No Gi only) after just three years of training. He has won the EBI tournament and placed 4th at the 2015 ADCC. 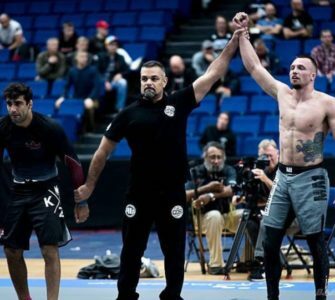 Danish MMA talent Mads Burnell (Pro MMA record 4-0-0, 3 Subs, 1 Dec.(IBJJF European No-Gi Champion 2014) received his BJJ black belt from Chris Haueter after 3 years of intense training at the young age of 21. This puts him amongst europe’s youngest black belts. In 1997 Penn began training Brazilian Jiu-Jitsu under Ralph Gracie, eventually earning his purple belt from Gracie. At that point he moved to Nova União where he was eventually awarded his black belt in 2000 by Andre Pederneiras. A few weeks later he became the first non-Brazilian to win the black-belt division of the World Jiu-Jitsu Championship held in Rio de Janeiro, Brazil. 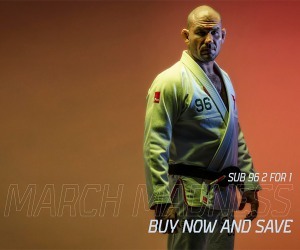 While Penn’s most well-known and prestigious achievement was placing first in the black belt division in the 2000 world championships, he had success at the Mundials in previous years. In 1999, at the age of 20, Penn finished 3rd, earning himself a bronze medal in the brown belt division, losing only to Fernando “Tererê” Augusto, and in 1998, earned a silver medal, placing 2nd in the blue belt division. 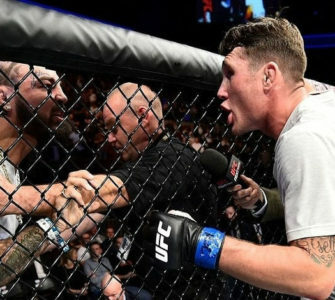 Penn is thought to have earned the fastest legitimate black belt of all active Brazilian Jiu-Jitsu practitioners (tied with two others). Multiple world champion Caio Terra was promoted to black belt by Reyson Gracie and Paulo Strauch after just 3 years of training and having won everything on the local Brazilian scene. He went to become one of the most dominating fighters in rooster weight history. 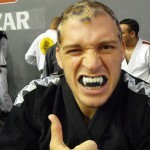 Travis Stevens U.S.A Judo Olympian went through all the BJJ Belts under John Danaher in 18 Months! He was promoted in 2013. He Held the rank of Brown For a Year and competed at Copa Podio, BJJ expo tournament. White-Blue in weeks. Then blue-purple in a month then purple-brown in a few months!